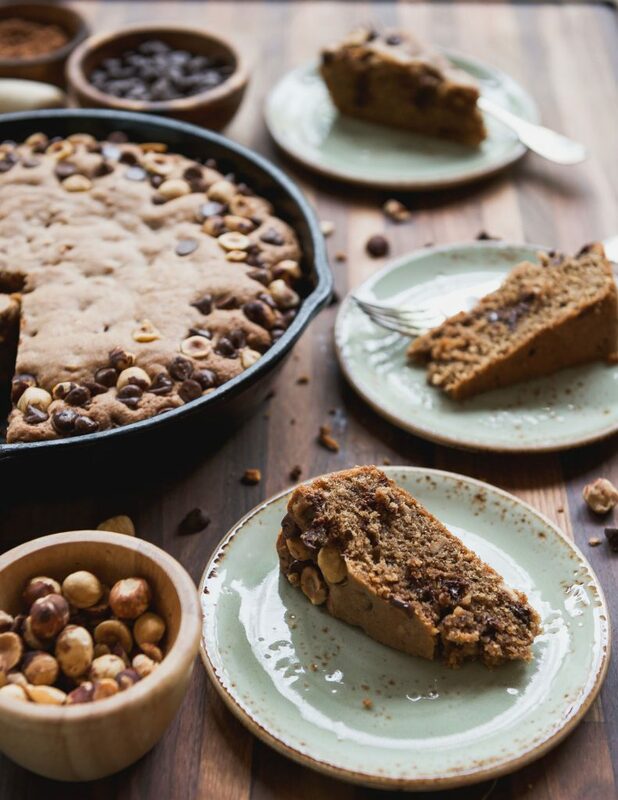 Simple and uncomplicated this Chocolate Hazelnut Cake is just the right thing with afternoon tea. My husband and I stole away to Scottsdale last week. We rendezvoused with our dear friends from Chicago for some much-awaited catch-up time and managed to escape the weeklong downpour here in the Bay Area as a bonus. After what has felt like an exceptionally long winter lighter attire and sandals were a welcome change from big sweaters and boots, even just for five days. When you think of Arizona, if you’ve visited before, what’s the first thing that comes to mind? For me, it’s the beauty that is called the Sonoran Desert–home to the majestic saguaro cactus. My desert-landscape-loving heart skips a beat as soon as I step off the plane and catch my first glimpse of my favorite cactus. My husband and I have spent a little time exploring Scottsdale and it was great fun introducing our friends to our favorite neighborhoods and sharing our fantasies about making the city a part of a year-round summer lifestyle. On the food front there is no shortage of hip restaurants in Scottsdale and if you happened to read one of my recent posts about us being creatures of habit, a different restaurant every night was quite a novel experience for me and my husband. My jeans were a bit more snug around the waistline after our trip, thanks to our commitment to taste every dessert offered on the menu. And as it happens this little blog turned eight on the March 17, our last day in Scottsdale, so something sweet was in order to commemorate the occasion. 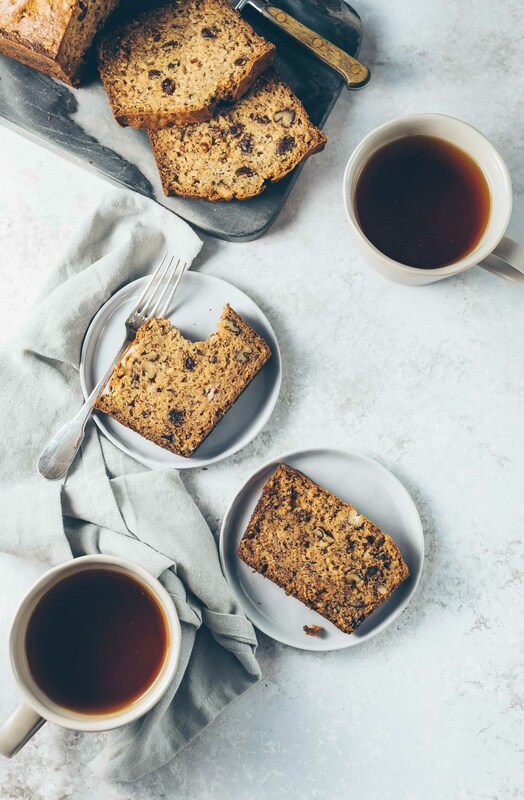 But rather than recreating one of the fancy treats we (over)indulged in last week I decided to stick with the simple, rustic cakes I love–the kind of recipe that I feel more accurately reflects the personality of L&A: simple, unfussy, approachable. This is a modified Torta di Nocciole from Patricia Wells’ book Trattoria. 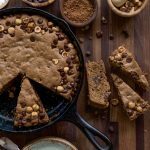 It’s a simple cake loaded with toasted hazelnuts and enhanced with a touch of unsweetened cocoa powder. 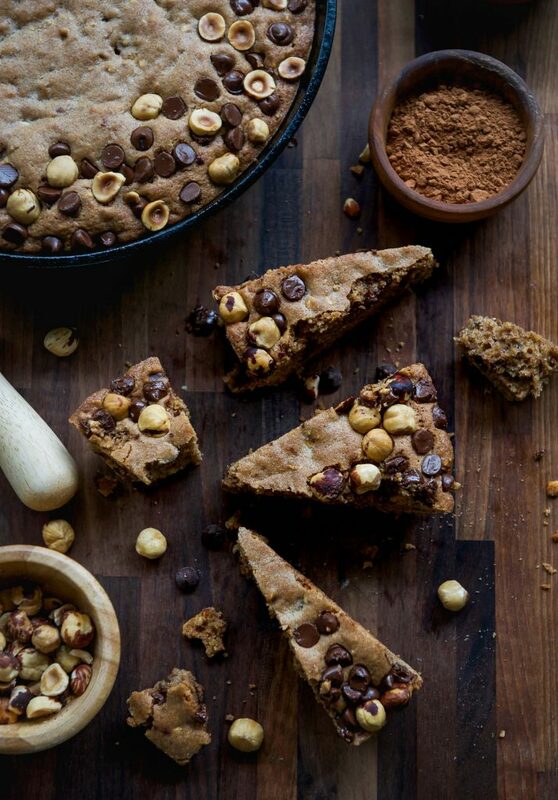 Miss Wells’ recipes never need adjusting but I love adding a personal touch when possible so I reduced the sugar, added chocolate chips, incorporated spelt flour and topped mine with more toasted hazelnuts and chocolate chips. This was a sturdy cake to begin with, the batter thick like cookie dough before I stirred in the egg whites. Really, the finished product is not much different, especially with my use of spelt flour. It’s pleasantly dense and flavorful. Unsurprisingly, hazelnuts are the star of this show and chocolates are the perfect accompaniment. 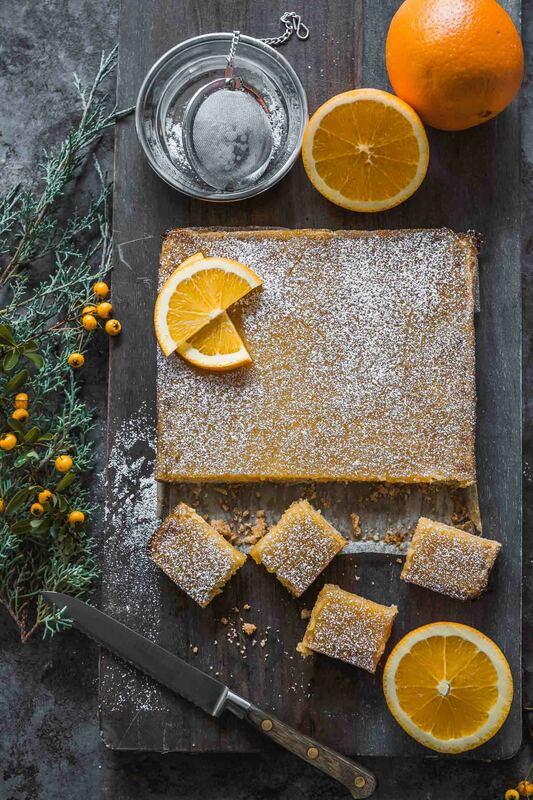 A slice–or two–would be just the right thing to have with afternoon tea or coffee but I wouldn’t say no if it were offered to me for breakfast or dessert. Preheat your oven to 350ºF. Butter and flour a nine-inch nonstick baking pan and set aside. 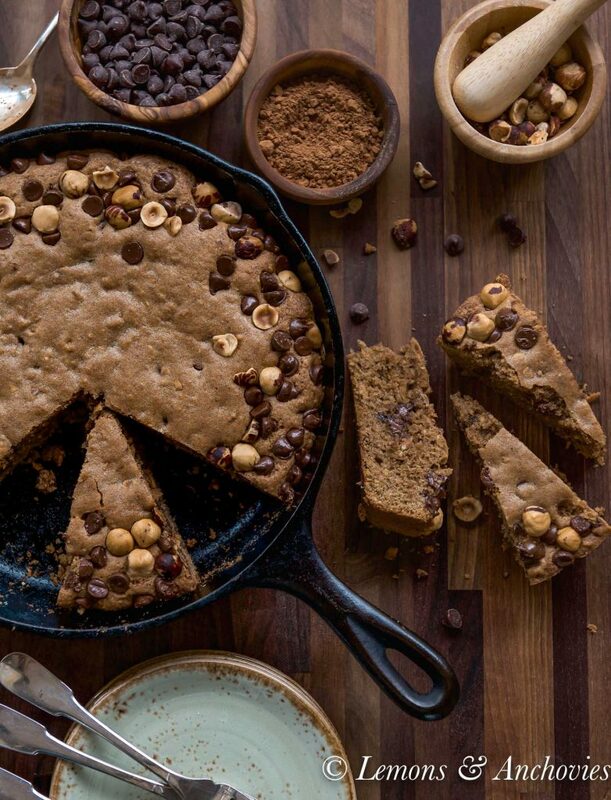 Or, you can use a 10-inch round skillet pan like I've done here. Using a hand mixer (and a large bowl) or an electric mixer using the paddle attachment, cream the butter and 3/4 cup of the sugar until light and fluffy, three to four minutes. Add the egg yolks one at a time, making sure each yolk has been thoroughly incorporated before adding the next. 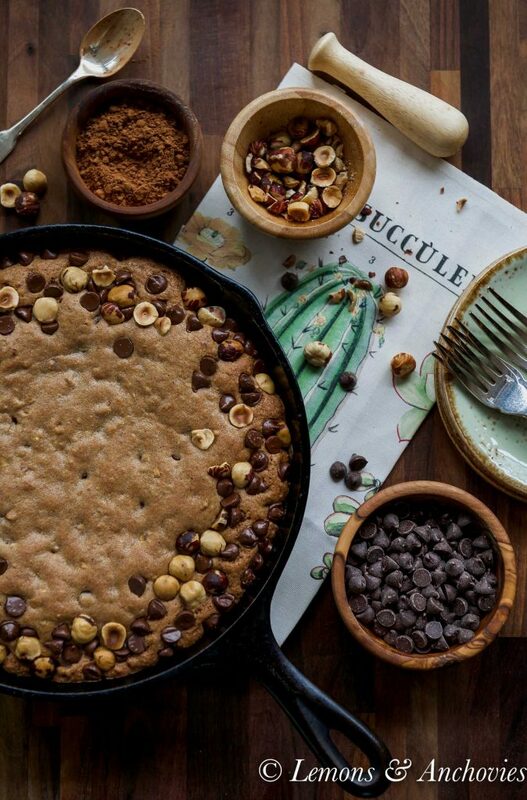 Beat in the hazelnuts, 1/2 cup chocolate chips and vanilla extract. In a separate bowl, sift together the flour(s), cocoa powder, baking powder and salt. Then sift the mixture once again into the wet mixture. Fold the dry ingredients gently into the batter. The batter will be very stiff, like cookie dough. In another bowl, beat the egg whites until fluffy. Add the remaining 1/4 cup of sugar and beat until the egg whites are somewhat stiff but not dry. This will take about three minutes. Fold the egg whites into the batter until no more white patches are visible in the mixture. The batter will still be thick but will be thinner than the cookie dough batter. Transfer the batter into the prepared pan (or skillet) and flatten the top with a spatula. 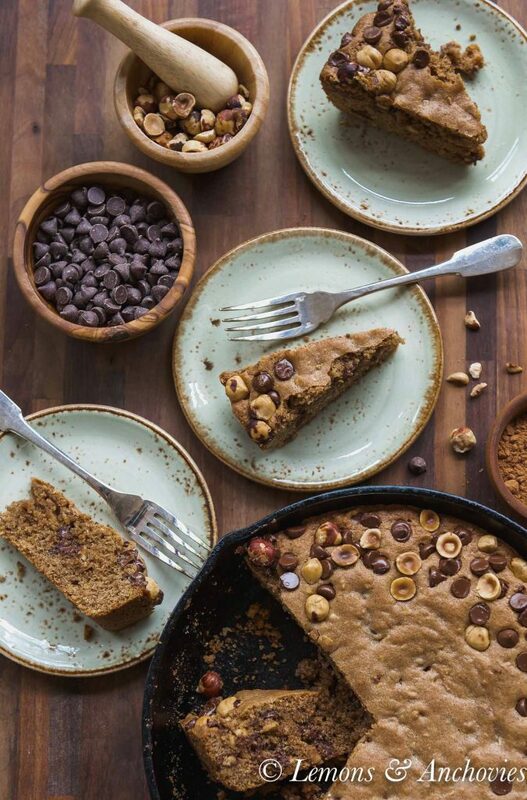 Bake the cake for five minutes then sprinkle the remaining 1/4 cup of chocolate chips and 1/4 cup of hazelnuts along the outer edges of the batter, pressing them slightly into the batter with a spatula. Return to the oven and bake until a toothpick inserted in the center of the cake comes out clean. Rotate the pan halfway into the baking time. Baking time will take roughly 40-45 minutes. If baking with convection like I do, I preheat the oven to 350ºF and reduce the temperature to 325º and bake for 30-35 minutes. 1. 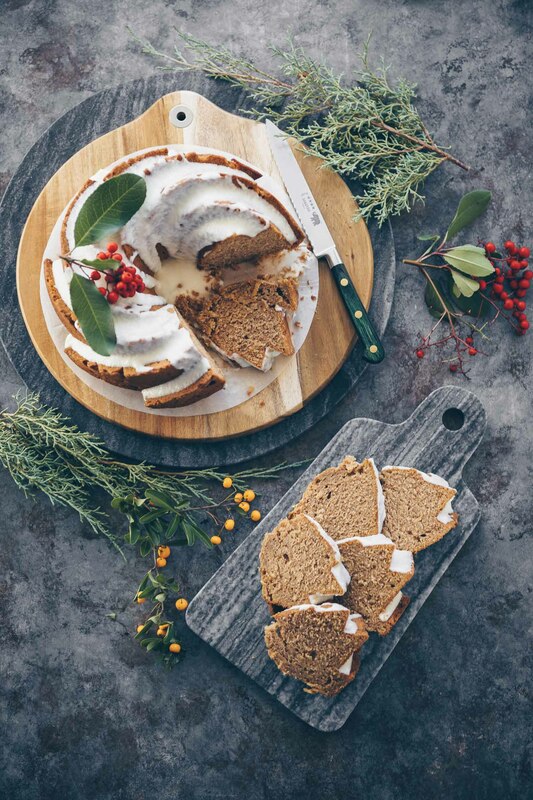 Recipe: The base recipe was adapted from Patricia Wells' Toasted Hazelnut Cake. I reduced the sugar, added chocolate and used whole grain flour. 2. Hazelnuts: I use Trader Joe's roasted and unsalted hazelnuts. I toasted them in the oven at 350ºF for 10 minutes then rubbed them with a dish towel to rub off as much of the skin as I could. Then I transferred them to a storage bag and pounded with a mallet.